Posted by Mrs Weird Scientist in Deep Sea, Easy As Pie, Marine Life, Ocean, Technology. A group of scientists in Australia have a plan. It involves sharks and computers. Weird combination? Actually, it makes perfect sense! They want to test out the biting power of the Great White shark. To accomplish this goal, they’re building a three-dimensional (3-D) computer model to help them figure it out. Stephen Wroe of the University of New South Wales is leading the team of researchers. Together, they are also working with researchers from the University of Newcastle as well as the University of Tampa, which is located in Florida. They are using data from a shark that was previously caught using beach nets. The shark is 7.8 feet long and the scientists are looking at the shark’s jaw and facial muscles. Shark bites can cause a lot of damage and I’m not just talking about bites to humans. Dan Huber-a shark biologist working with the Australian team-is investigating whether sharks caused damage to submarine cables and communication systems on U.S. Navy submarines. Using 3-D computer simulations, the researchers are hoping to figure out the bite force, feeding behavior and cranial mechanics of the Great White shark. It seems like a logical and safe way to do it. Researchers had already tried to figure out the shark’s bite force by using underwater experiments. These experiments, however, were unsuccessful. It’s because sharks have bitten through stuff with more force than what researchers have seen in underwater experiments. What we observe in a limited time-period and a restricted space underwater isn’t always an accurate representation of what really happens throughout the ocean depths. 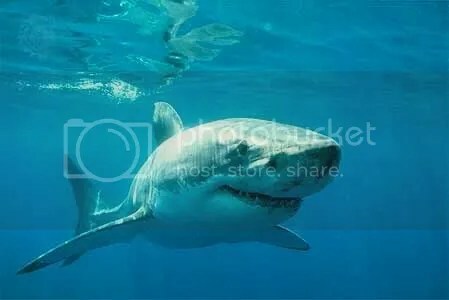 If researchers can attain their goal of figuring out the Great White shark’s bite force and related mechanics, this information can then be used to create stronger, shark bite resistant materials for submarines and similar projects. The Great White shark may have sharp teeth and a powerful jaw, but if the researchers can figure this one out, the shark’s teeth won’t be able to sink too far into the new bite resistant materials! Posted by Mrs Weird Scientist in Deep Sea, Easy As Pie, Evolution, Marine Life, Ocean. Deep, deep, deep into the dark icy waters around Antarctica is a lively and peculiar bundle of marine life. Carnivorous sponges, crustaceans and wiggling worms all bring life into these shivering depths. Researchers have recently discovered nearly 700 new sea creatures. It’s a surprising find because around these desolate and freezing parts, the conditions are really aggressive. Scientists hadn’t anticipated that all of these strange and interesting life forms would exist. The discovery of these magnificent sea creatures is part of ANDEEP, which stands for Antarctic Benthic Deep Sea Biodiversity Project. It’s a bit of a long name for a project but it’s certainly a fitting one! ANDEEP is one of the first studies that really looks at marine life in Antarctica. Between 2002 and 2005, three research expeditions took place and tens of thousands of samplings from the ocean were taken. They managed to find over 1000 species, with most being new, previously undiscovered life forms. Leading the whole expedition was Angelika Brandt from the University of Hamburg in Germany. She was curious to uncover the mysteries of the Southern Ocean. 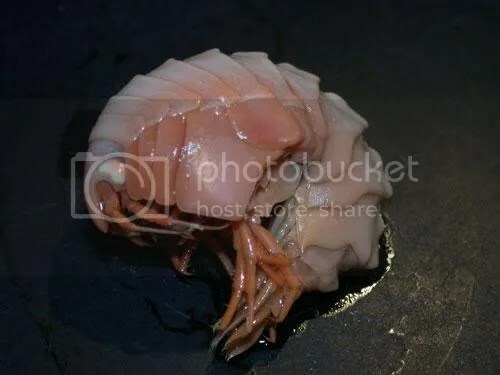 Although Angelika and her team had expected to find some interesting new species, they hadn’t expected to find such a diverse range of deep sea creatures! It’s Cool But Is That It? Not quite. Sure it’s exciting to find new life forms, especially when they just plain old look nifty but there’s more to it than that. Finding new species can tell us a lot about evolution. Scientists can now look at the species surviving in the shallower waters around Antarctica to learn how the weather and environment led to evolutionary changes. If only I could have these curious swimmers in my home aquarium! I think, however, that these deep sea species will happily remain in their cold, shady home in the Southern Ocean. For now, I will have to make do with my little goldfish. Credits: Images are from the British Antarctic Survey and Wiebke Brokeland as shown online in New Scientist.